Equine puncture wounds usually occur in the foot as the result of stepping on nails, glass, or other sharp objects, although puncture wounds may affect other parts of the horse's body because of falls, accidents, or from collisions with sharp objects. Although all puncture wounds are serious because of the dange of infection, puncture wounds to an area of a horse's body where the internal organs might be affected are extremely serious because of the potential for internal bleeding, infection, and compromise of affected organs. Puncture wounds are caused by a penetrating object that goes through the foot, hoof, skin, or mucous membrane of the horse. Depending on the origin, depth, size, and location on the horse, and whether or not the wound is bleeding, the wound may need to be treated immediately and a veterinarian summoned. Puncture wounds in large muscle areas are usually less threatening than those on the abdomen or chest, where internal organs might be compromised. Puncture wounds to the foot may lead to lameness and other conditions that threaten both career and work potential. Given the active nature of horses and the environment in which they live and work, prevention of all puncture wounds is nearly impossible, but good stable and farm management that keeps all trails and areas clear of pieces of glass, nails, or sharp objects that might puncture the hoofs of a horse are important in preventing hoof puncture wounds. Also keeping stables, pastures, and fences in good repair and clear of potential hazards is the best defense against body puncture wounds. Prompt attention to the development of any potentially harmful vices or behaviors that might endanger the horse through falling, kicking, or running into objects is also important. When a puncture wound occurs, treatment depends on the depth of the wound, the location, and the origin of the penetrating object. In some cases, the object that created the wound may be pulled out, but if pulling it out would cause further damage, it is best left in until the veterinarian arrives. Most veterinarians recommend that puncture wounds heal better when left open, but the wounds need to be protected from flies and other sources of infection. 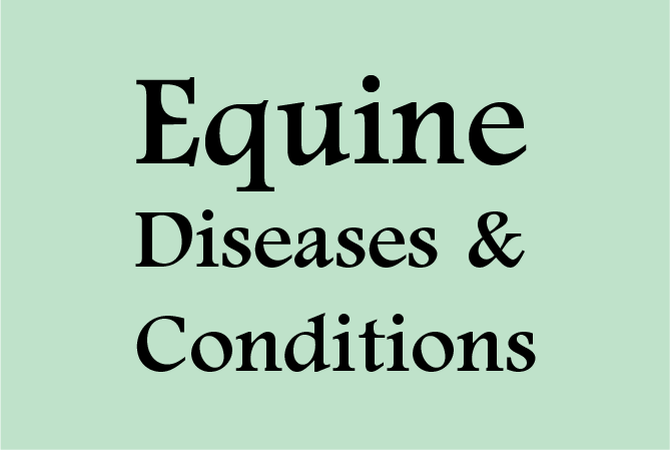 If the horse has not been vaccinated for tetanus, or if the vaccination history is unknown, tetanus toxoid and tetanus antitoxin should be given, with a booster following in four weeks. If the puncture wound is to the hoof, it may be difficult to determine which of the vital structures of the foot have been injured and contaminated with microorganisms. . The deeper the penetration is, the more likely it is that the pedal bone, the navicular bursa, the coffin joint, the flexor tendon, and other finely-tuned parts of the foot may be affected. Unless the penetrating nail or object is removed and proper treatment given, serious complications may develop, requiring surgery and long-term antibiotic treatments. The veterinarian should be called in as soon as possible when the horse has a puncture wound to the foot. The veterinarian may want to X-ray the foot before the penetrating object is removed. After the puncture wound is treated, the horse should be kept in a clean stall and the veterinarian's directions followed regarding further monitoring and treatment, as well as how soon the horse returns to normal activities.